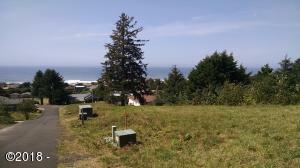 Ocean view lot ready to build on. all under ground utilities, gentle slope. Directions Highway 101 to Yachats east on 8th to King north to Windsong.